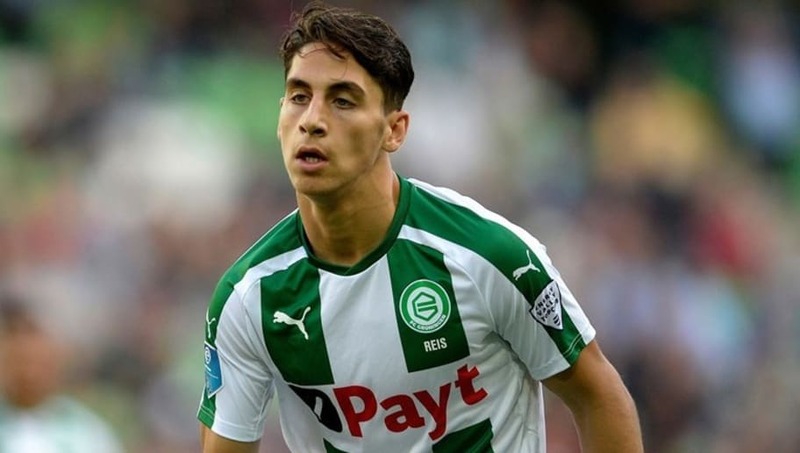 17-year-old midfielder Ludovit Reis has spoken of his dreams of one day playing with the Dutch national team, as well as his dream club move to Liverpool. Reis has been a revelation so far in the Eredivisie for his club FC Groningen, which has earned conversations surrounding him with the Dutch national team. However, Reis will have to overcome legal issues if he is to feature for the historic Oranje team. The Dutch-born midfielder has Slovakian parents, but is yet to obtain a Dutch passport. And the 17-year-old has expressed his desires to pledge his allegiance to the Dutch team rather than the Slovakian team. Quoted from Dutch website RTV Noord, he said: 'I would like to come out for the Netherlands if I had the chance. There is a lot more quality, I think. And if you can walk around there, you will also develop yourself much more. In terms of the game, all the best guys in the clubs play in that team. That's what makes you better, I think." Though, the Groningen midfielder hasn't limited his dreams to only playing on the national stage. At club level, Reis dreams of a move to a bigger club and sees Premier League club Liverpool as his ideal place. He added: "My ultimate goal is to play in England, for Liverpool. I think that's a nice club. I have a twin brother, he is also a big fan of Liverpool. We always look at it together. "I am 17 now, I can still grow physically before I could go to England. I just have to keep working hard to achieve my goal. " Reis's Groningen side are currently in 13th place in the Eredivisie table and return from the league's winter break next weekend with a matchup against Willem II.